The two candidates' differences have surfaced in policy proposals. They both served in Congress, in different chambers professing different affiliations. One's from Texas, the other Vermont. Sen. Bernie Sanders and Beto O'Rourke now find themselves facing off in Iowa. O'Rourke is no stranger to the Hawkeye state. After his loss to Sen. Ted Cruz, O'Rourke traveled the state by car as he mulled making a bid for the White House. O'Rourke's plans for this week include small events inside Iowa homes and bigger events including a rally at the University of Iowa. 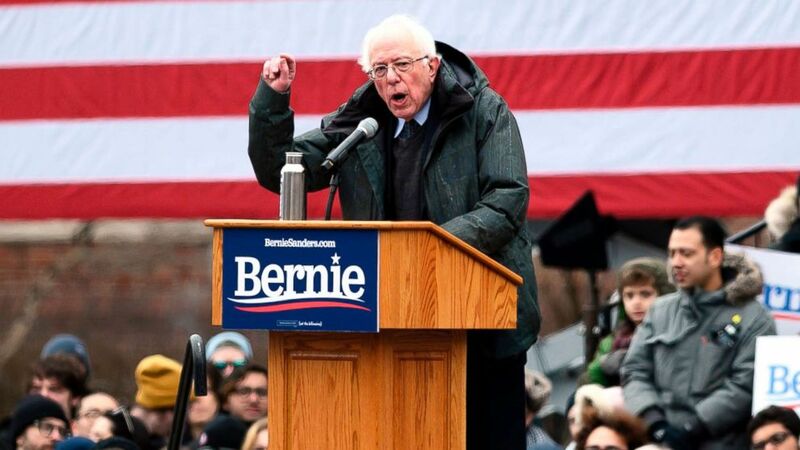 (Johannes Eisele/AFP/Getty Images) Senator Bernie Sanders speaks during a rally to kick off his 2020 presidential campaign, in the Brooklyn borough of New York City, March 2, 2019. Some of Sanders' and O'Rourke's differences have come to light through policy proposals such as Sanders' backing of "Medicare for all." 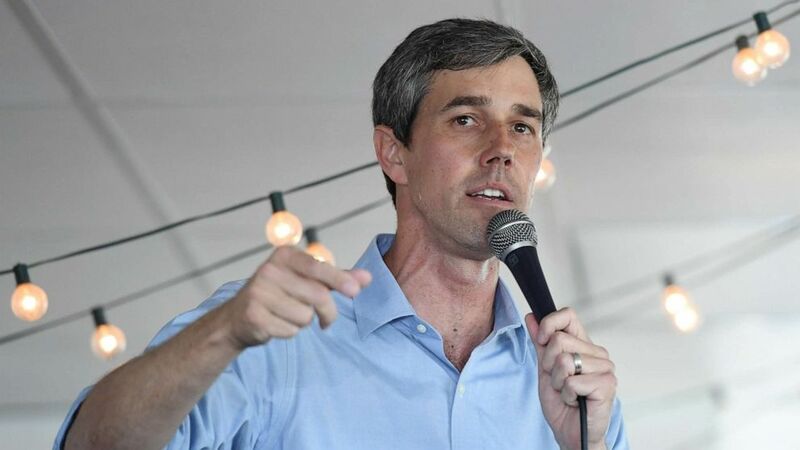 O'Rourke has stopped short of endorsing the plan as a presidential candidate, saying instead he wants a "guaranteed, high-quality" plan, a reversal from when he backed Sanders' plan during his Senate bid in Texas. When it comes to the Green New Deal, Sanders is a firm backer, whereas O'Rourke hasn't completely supported it despite saying, "It is the best proposal" he's seen. Sanders, who identifies in Congress as an independent, regularly caucuses with the Democrats but describes himself as a Democratic Socialist, to the ire of some Democratic colleagues. O'Rourke served in the House as a Democrat and insists he's a capitalist. (Ethan Miller/Getty Images) Beto O'Rourke speaks during a meet-and-greet at Pour Coffeehouse, March 24, 2019, in Las Vegas. O'Rourke is campaigning for the 2020 Democratic nomination for president. Whatever their differences, the two candidates do have at least one thing in common: They've shared some of the same staff. Two former 2016 Sanders campaign staffers are now working with O'Rourke to assist with advertising and fundraising. The two candidates also have been among the top fundraisers. O'Rourke grabbed $9.4 million in just 18 days, while over about 70 days, Sanders piled up $18.2 million. One obvious difference between the two? Their ages. Sanders is 77, and O'Rourke is 46. But it's probably too early to tell how important to voters candidates' ages will be. For some voters in the Hawkeye state with a wide field of over a dozen declared candidates, it's still too early to make a final decision on who they plan on supporting. On Saturday, Sanders held a town meeting with 230 people at a Middle School in Muscatine, Iowa. Osmond Malcolm, a local councilman in Muscatine, attended the meeting because — while he voted for Sanders in 2016 — he wanted to educated himself about the Vermont senator's platform before casting his ballot. For Malcolm, the most important issues for him include infrastructure, civility and border separation. There's a "better use of tax dollars" than building the wall, he said. After Sanders lost the nomination in 2016, Malcolm said he sat out the general election. This time around, Malcolm is keeping his options open and is not settling on Sanders, O'Rourke or any candidate for the matter. When it comes to backing a candidate, "I think I'll wait to see. You don't want to serve food before it's half done," Malcolm told ABC News.